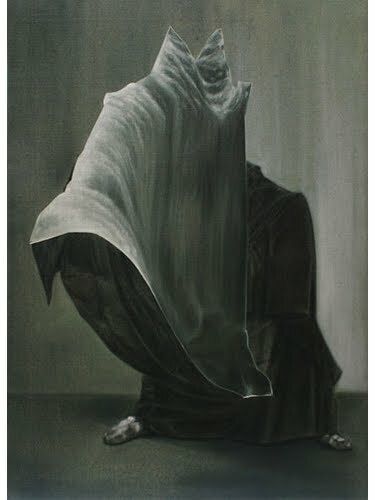 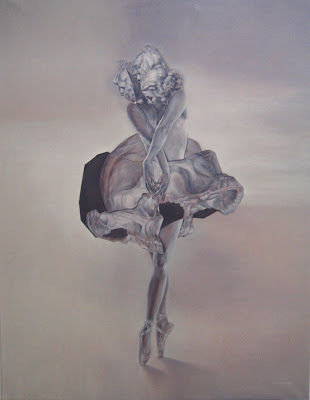 I was totally blow away when I saw Cris Brodahl's show a few months back at Marc Foxx. 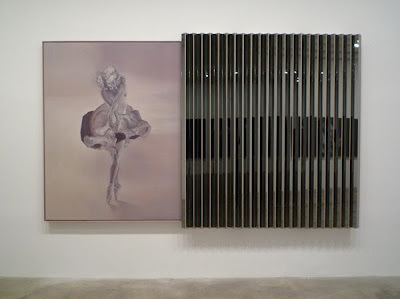 The top piece is amazing, the painting slides into the accordion mirror like a drawer! 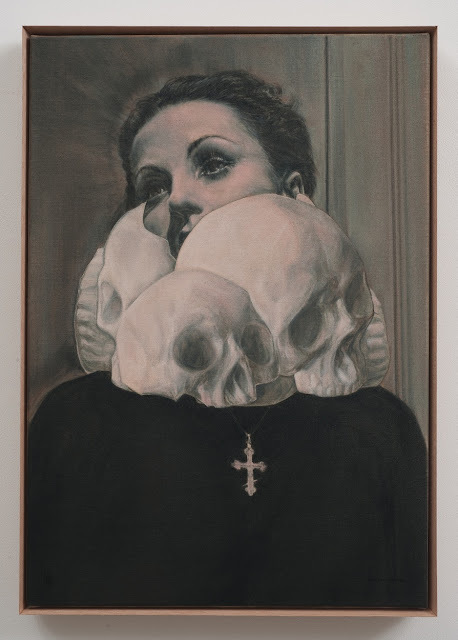 I'm not normally a fan of the skull trend but her work seems to be more than that, it is so strange and different and beautiful. See more of her work here and here.